A lot of firsts for me this past year. The most recent, learning to ride a motorcycle, made dancing on stage in lingerie seem easy. I’m a pretty cautious person, so I didn’t take this lightly. 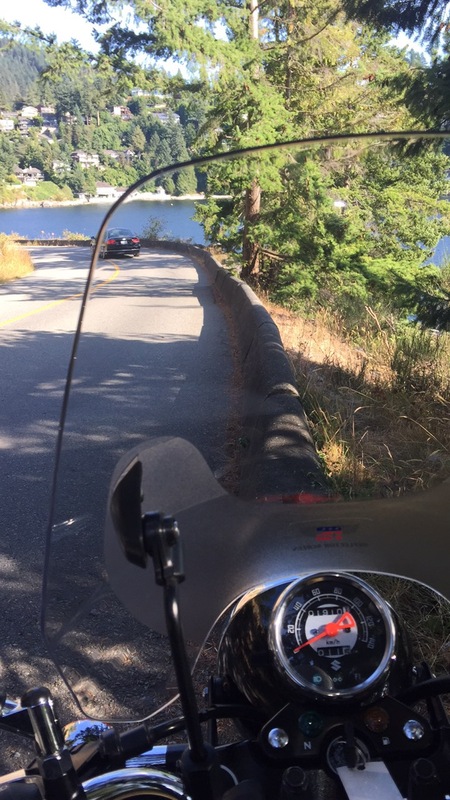 I did the ICBC approved motorcycle training first. Loved it. Then I researched and found the best bike for me. 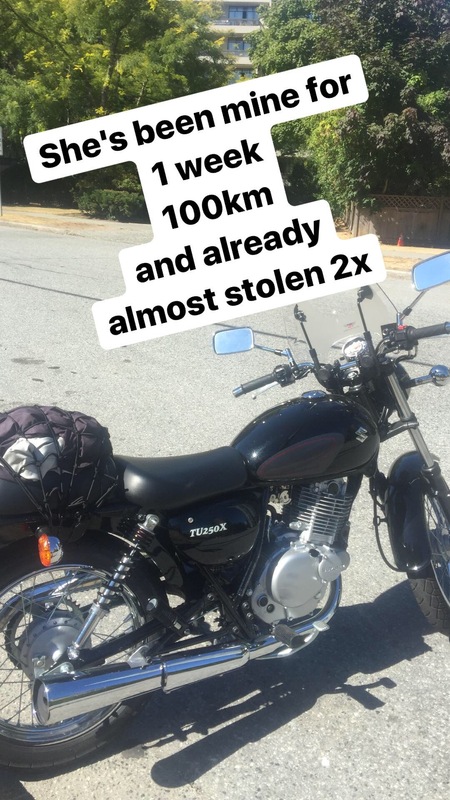 I fell in love with the Suzuki TU250X, and found a deal on a 2016 one. But the only caveat, I had to ride it back from the ferry on my own for my first ever (non-training) ride. I did it, way out of my comfort zone but had a blast. I just wish our summers were longer in Vancouver. Here’s my bike one week in! Love the bike! And so do others it seems, within the first week security cameras caught someone casing it out at 2am. They came back the next night with a pick-up, but we had boxed it in and put a sign up letting them know we caught them on film. They left. This entry was posted on August 28, 2017 by sandtoesha in Bucket List Stuff, Having Fun.